​The ultimate sprinkler controller is at hand. Introducing Rachio, the Smart Sprinkler Controller that gives you control of your sprinklers and watering bill, right from your smart phone. Replaces almost any controller, or works with your current controller. 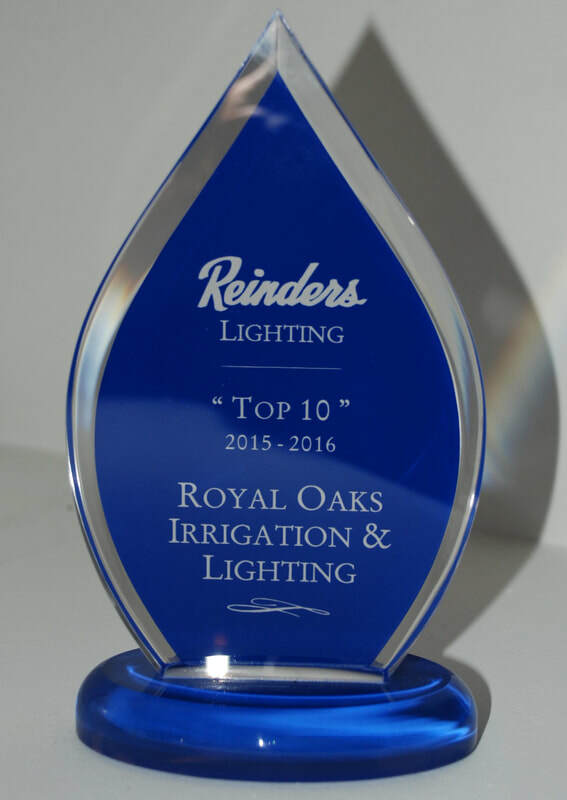 In the past Royal Oaks Irrigation has provided outstanding commercial services to commercial properties as diverse as corporate campuses, parks surrounding offices, retailers like malls or shopping centers, apartment buildings and residential parks. From planning to completion, we promise to complete projects on time, budget and well ahead of schedule. We also have maintenance professionals that will continue to enhance the beauty of your commercial property and provide you with the image that your company or property needs in order to be successful. Most people do not take into account the amount of time they spend in their backyard. You might enjoy going outside to barbecue with friends, relax after a long day of work or spend time with your family. Imagine how having a beautiful and functional backyard could enhance that time you spend at your home. At Royal Oaks Irrigation, we understand the importance of designing and maintaining an irrigation or sprinkler system around your home that adds to the appeal of your home rather than detracts from it. Especially if you ever consider selling your home, a good sprinkler system can add a significant amount of value to your property. Regardless of the size of the home irrigation project you are considering, Royal Oaks Irrigation can assist you in installation or the creation and maintenance of any size sprinkler system you wish.